Head trauma has long been a leading cause of serious injury across a wide range of professional contact sports, besides among college, high school, and amateur sports players. Concussions are a variety of traumatic brain injury (TBI) that often occurs when sports participants accidentally knock heads, receive an elbow, knee, or foot impact to their head, receive too many direct head blows in boxing, collide head-first with the ground or a stationery object, or otherwise suffer from sudden, forceful head trauma. A single major concussion or a long series of smaller concussions in sports events can be career-ending and may lead to chronic severe headaches, nervous system damage, depression, suicidal thoughts, violent/erratic behaviors, and CTE (chronic traumatic encephalopathy), which can only be successfully diagnosed after death. If you’ve recently suffered a concussion, we advise that it will probably take you at least 1 – 2 weeks before you start feeling completely back to your normal self again. 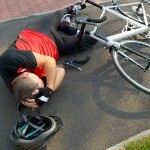 The good news is that if you’re managing your concussion from home, you’re well on the road to a full recovery. However, how long it takes will depend on various factors, such as your age, the severity of the concussion, and your health before the head trauma. How Much Head Trauma Causes a Concussion? If you or someone you know has recently experienced a blow to the head, it’s wise to check for symptoms of concussion and consult a medical expert just to be on the safe side. However, many of us do occasionally hit our heads without any serious consequences – so how do we know when it’s time to get down to the emergency room? Many consider acupuncture to be alternative medicine or therapy, and so far the research has been mixed as to whether or not it can make a real and lasting difference. But despite acupuncture having its critics, there is also a fair share of studies claiming acupuncture does help to control pain and other issues such as anxiety. Below, we’re going to look at how acupuncture for anxiety actually works, and the benefits of treating your anxiety this way. Back pain is a common chronic condition in Canada, with approximately 4 out of 5 Canadians suffering from some type of occurrence in their lives. For a high percentage of those individuals, a herniated disc is to blame. Although some Canadians with a herniated disc will experience temporary pain that subsides in a short period of time, others suffer immense or ongoing pain and other complications that require professional herniated disc treatment. Fortunately, if you or your loved one is suffering from a herniated disc, there are numerous treatment options available. For most people, their workstation is the place where they spend at least forty hours a week, if not more. 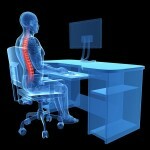 With a poorly set up workstation, your body will begin to feel the strain in just a few weeks, and over the course of several years you could cause some serious damage to your neck, spine, wrists and other joints. The good news is that plenty of studies have been done about ergonomic workstation elements, bringing you a full suite of products and recommendations to help overhaul your work space. Chiropractic insurance is becoming more and more common as chiropractic care is gradually gaining wider acceptance in the medical community as demonstrably beneficial for a growing list of conditions. Help in reducing acute/chronic pain and in getting the nervous system to function at optimum levels are (broadly speaking) the two main benefits of modern chiropractic’s. Is Spinal Decompression Therapy For You?